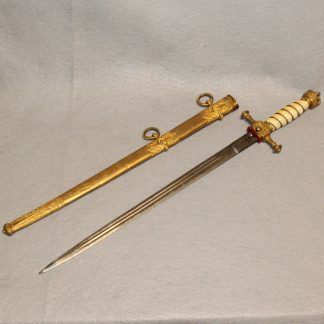 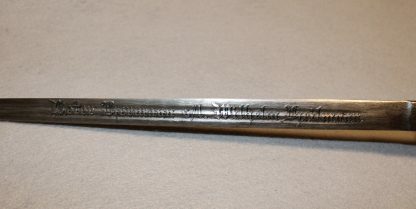 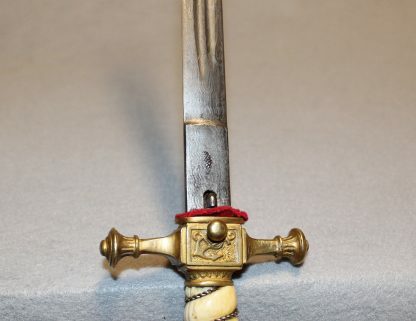 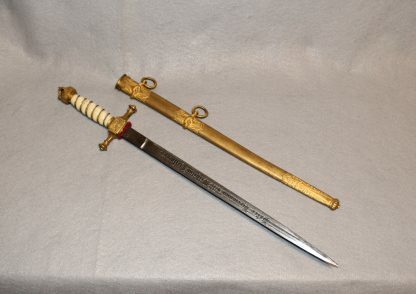 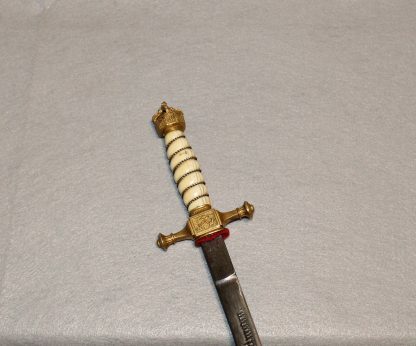 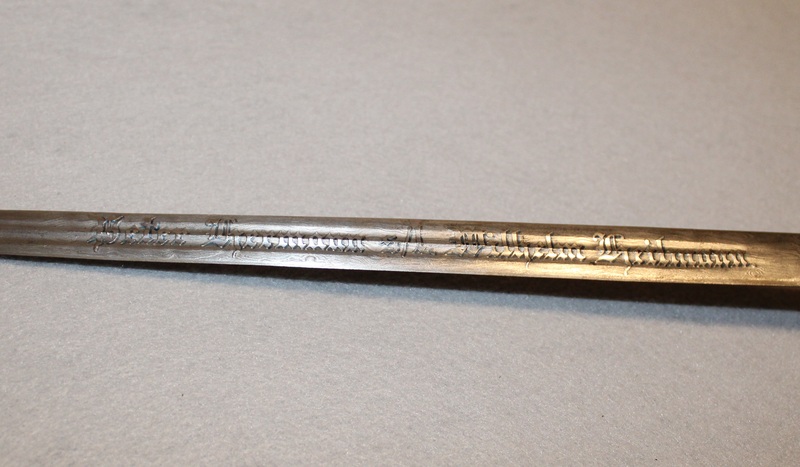 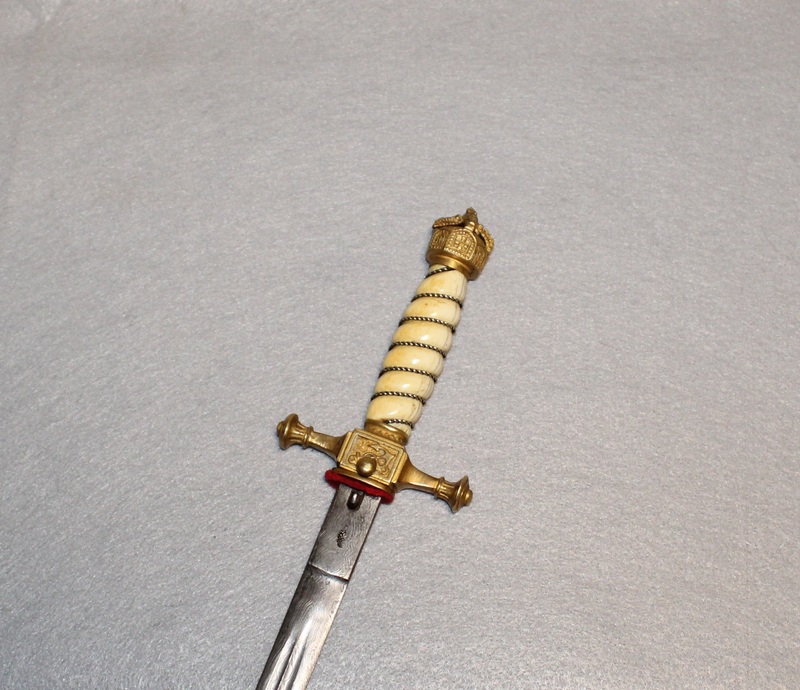 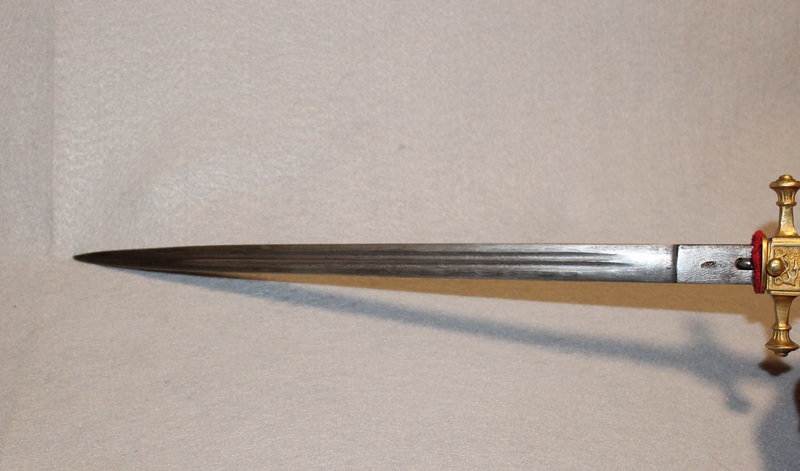 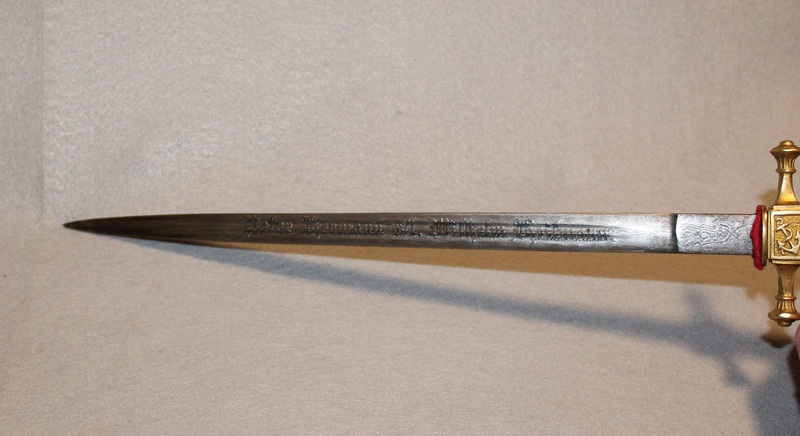 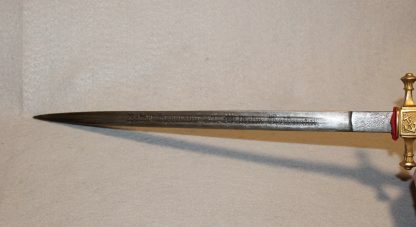 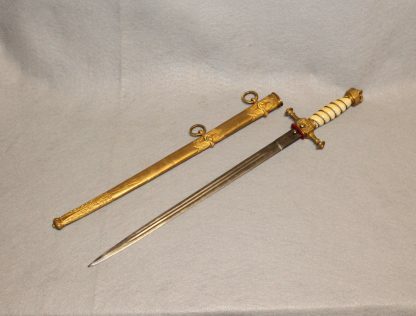 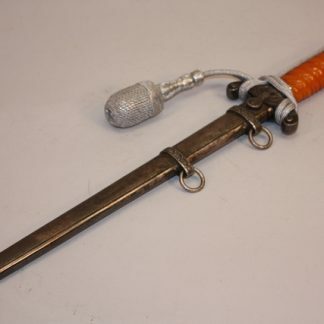 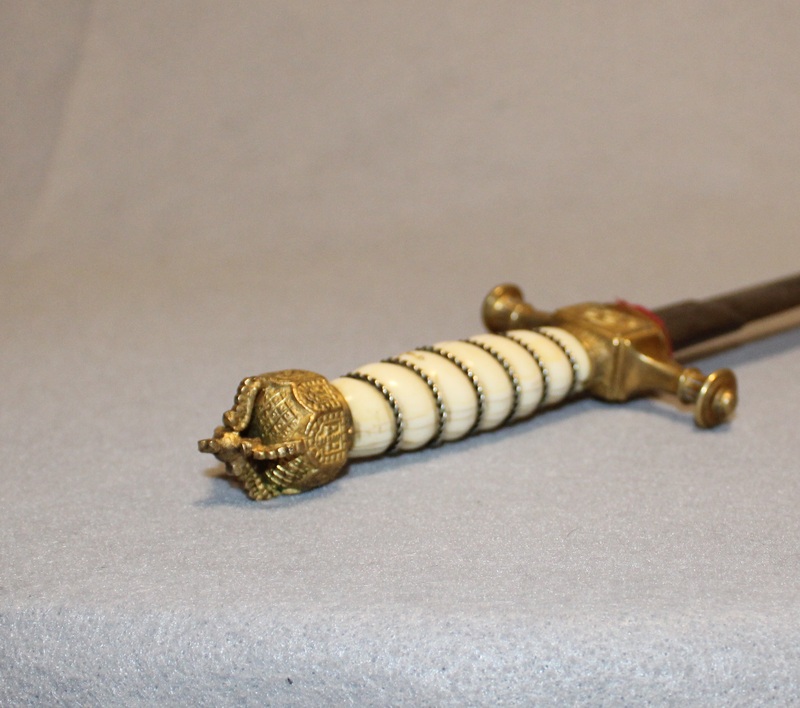 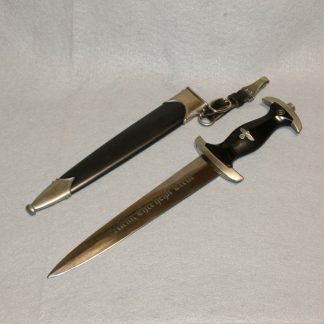 Imperial Damascus Engraved Naval Dagger by Karl Kaiser & Coe – Military Collectibles, Inc. 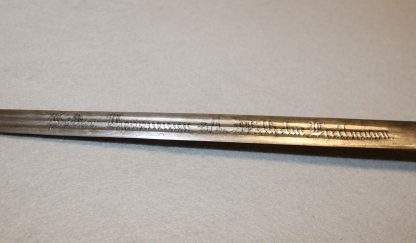 This dagger has amazing damascus in a maiden hair pattern. 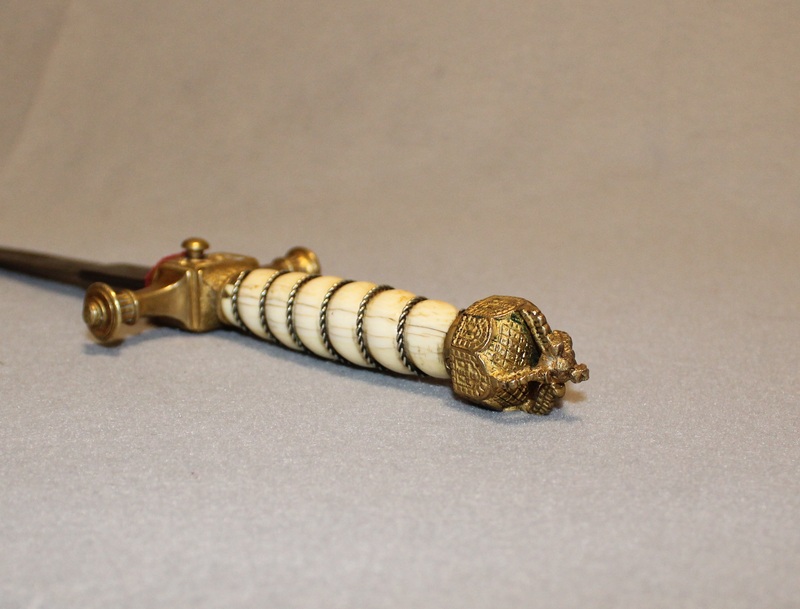 The piece is in exceptional condition and has a perfect ivory grip. The wire on the grip is tight and the crown is held in place with a set screw. 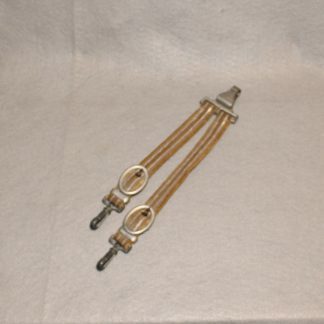 The rings measure 25mm and the overall length of the piece is 49cm. 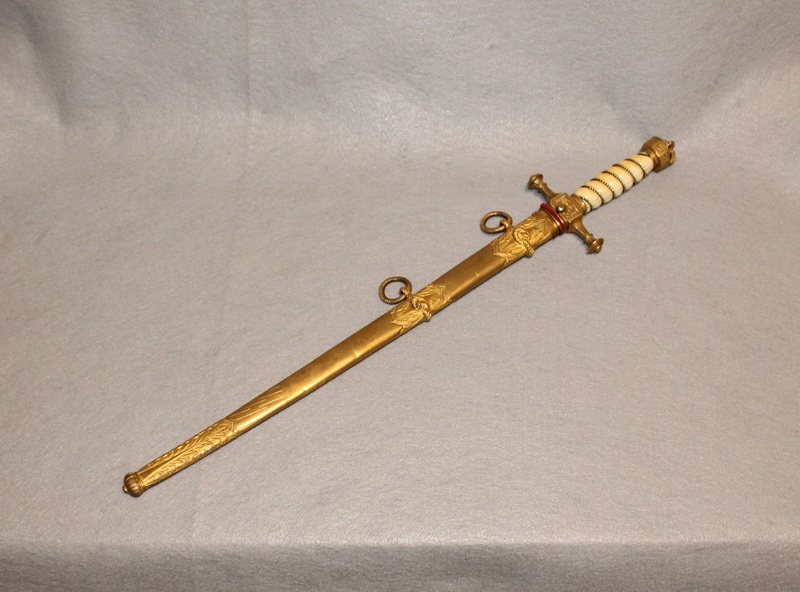 The piece retains most of the original gold wash. 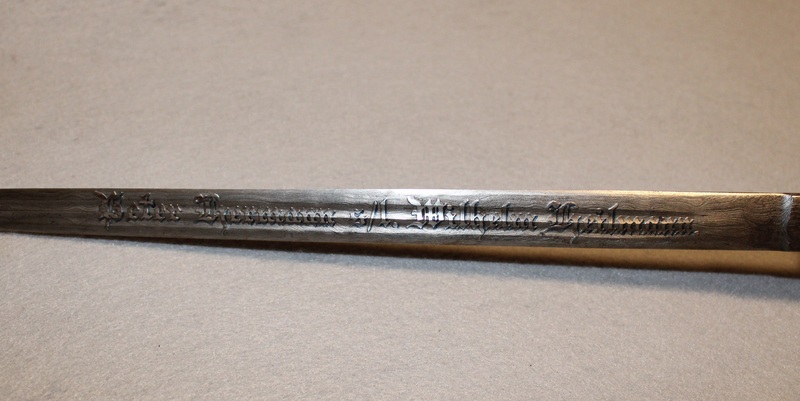 The scabbard is deluxe heavily engraved model. 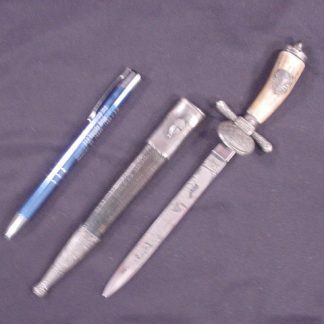 Peter Hermann was a U-Boat Commander and this dagger being in this condition makes this a real historic piece.